Previously, FATEs were considered to be the best way for upgrading in FFXIV. With the game updated, the various dungeons become efficient way to level up to 50. Though you can still upgrade through FATE battles, running dungeons are overall better as you can earn more exp points from dungeons and learn how to play your class. This guide is to summarize some good ways to upgrade in FFXIV. From level 1 to 15, no dungeons are available to play. You can gain exp points from quests and guildleves till hit level 15. At level 15, you can run through the Satasha dungeon which is a great starting dungeon where you can learn how to play your class in a party. Then you can run the Tam-Tam Deepcroft at level 16. Each dungeon has a unique set of gear which is always better than crafted or purchased gear. It is quite helpful and free. At level 17, you can explore the Copperbell Mines dungeon dungeon which is a little harder than the first two and need more teamwork at level 20. If you are tanking or healing characters, this dungeon is especially vital before you start running higher level dungeons. From level 20 - 24, you can run through the Halatali dungeon which requires teamwork a lot and a little more challenging than the rest. When hitting level 24, you can run through the Thousand Maws of Toto-Rak which is really challenging. You can run through To-Rak till you hit level 28 as it is really fair challenging mid and hard to defeat the final boss. If you are tank, you need worry about a good number of adds when fighting the second and the third bosses. At level 28, you can run through the Haukke Manor. Perhaps, this is the first dungeon you can run as a job instead of a class. The individual battles in Hukke Manor are more difficult than any previous dungeon. If you don’t pay attention to the adds and work as a team to turn off the lamps in the corners of the room, it is easy to die when killing the final boss. From level 32-34, you can run trough Baryflox’s Longstop which requires team cooperation a lot. When the final bosses in Brayflox force teamwork on you, it is important for your group to stick close together. You need to deal with multiple enemies and the final boss is a true test of healing and tanking ability. Healers should know how to manage the poison that spreads through the party and the tank have to dodge effectively to win the battle. At level 35, you can run the Sunken Temple of Qarn, which is fairly more difficult than any previous dungeon. Many players have to run through this dungeon for their Grand Company. Some of the normal dungeon enemies have to be killed on specific platforms. The first boss needs the entire party to stay on their toes, the second boss ignores hate management and the final boss is a laser show of dodging. The next three dungeons, Cutter's Cry (level 38-40), The Stone Vigil (level 41-43) and Dzemael Darkhold (level 44-46) are fairly straight forward. When you get access to these three dungeons, you have been familiar with the party structure and how to play your job. When hitting level 47, you can run through the Aurum Vale which is the last dungeon before you start endgame activities. If you have a tank but not good at pulling , the first room is vital. The first and last boss in the dungeon need all four party members to remove a specific status ailment to survive. The second boss needs all party members to dodge effectively or risk dying to a single attack, which is a real test of your abilities to know whether you are ready for the level 50 content. Hope this guide is helpful for your upgrading in FFXIV. 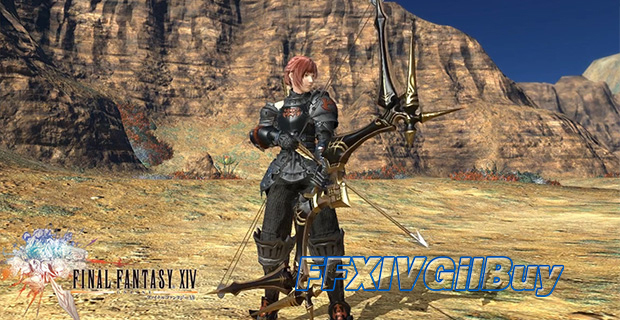 If you want to buy cheap FFXIV Gil, FFXIVGilBuy is a good choice with huge stock of cheap FFXIV Gil and instant delivery.